First up is of course Less Is More and it's a colour challenge ... Use the Colours Of Your Kitchen. My Kitchen is Cream and Black with Lime Green accessories! I used an amazing card as inspiration by Teneale Williams... Pinterest was helping me find my Mojo and I saw this card a few weeks ago and loved it! So stylish and beautifully CAS! 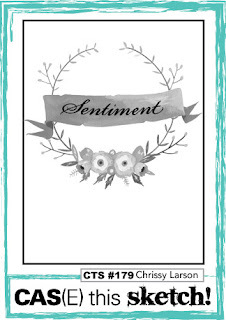 Those flowers are absolutely gorgeous and the 'label' sentiment is the perfect focal point. Love it! Love the simplicity of this design. An inspiration! FAB make, looks like your kitchen's a restful place! 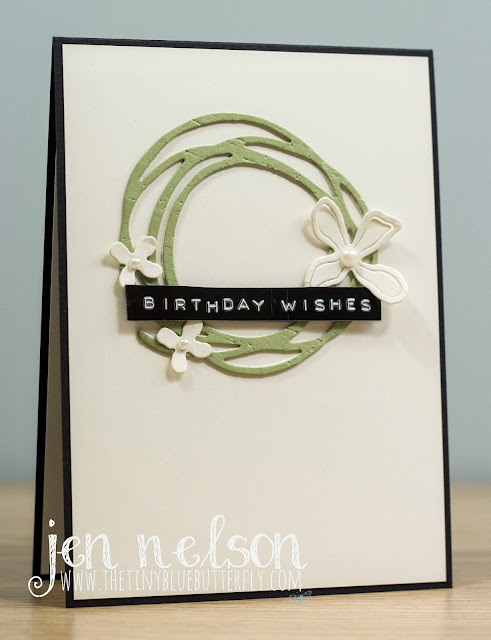 What a gorgeous card Jen and first uploaded this week...just like old times! terrific card! Love your CAS design. Thanks for sharing at Less is More. That's a great card, love your style ! Oh, this is so pretty! I love those diecut flowers! Great take on the sketch! So pretty and I love those flowers! Loving this combo, Jen. So beautifully CAS too. What a stunning colour combo, and card to match! 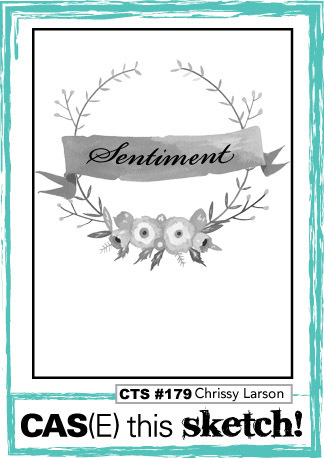 Absolutely love your layout and use of texture, and those three delicate flowers are sublime! Buzzzzz... New Simon Says Stamp challenge!